Although social scientists have been investigating the nature and impact of job satisfaction for many decades, economists only started to investigate job satisfaction systematically in the late 1980′s. Almost from the first systematic studies of job satisfaction by economists, the research potential of the notion of pay level comparisons was realized. The idea of pay level comparisons in job satisfaction has proven particularly useful also because it has important implications for a number of standard theoretical and economic policy results. However, the inclusion of the variable of comparison wage in job satisfaction and the resulting supporting empirical findings, are in sharp contrast to the orthodox approach, given that in mainstream economic theory an individuals’ utility is usually assumed to be a function of absolute income only. Despite the important theoretical and policy implications, mainstream economic theory has not paid much heed to the job satisfaction conceptual formulations and empirical findings. 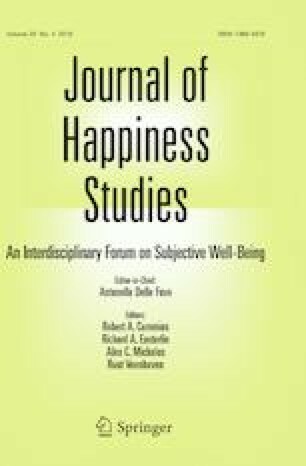 The paper argues that there are methodological reasons for this state of affairs which seem to be linked to the subjective well-being research in general, and to the job satisfaction literature in particular. A strong mistrust against the method of stated preferences and the still inherent methodological bias against the integration of psychological findings, are suggested as the two prime reasons. Although a few prominent figures in job satisfaction research have realized the mainstream methodological attitude, it is necessary that job satisfaction specialists should consider more seriously the methodological limitations of traditional mainstream economics that relate to their research field. The author wishes to thank Prof. Y. Venieris and two anonymous referees of this Journal for useful comments and suggestions. The usual disclaimer applies.